Our emotional foundation and subconscious self-image based on early childhood experiences are established in the fourth house. The way we feel about ourselves is conditioned by our experience of our parents’ (or significant others’) acceptance or rejection of us as we were growing up. From these experiences we developed our sense of belonging and our capacity to receive - and/or a sense of alienation and a difficulty or frozenness in receiving. The fourth house rules the home, our family as a child and as an adult, the nurturing parent and our early experience of being nurtured, our most personal and intimate life, real estate and property, and our heritage and ancestry. Here is where we send down roots and establish a base of operations, find our limits, and generally secure ourselves. It is the end of any searching we might have done in the Third house, and thus rules the latter part of life. A planet here indicates the need for a stable emotional base in order to fill the needs of the house it rules. The more planets in this house, the more one tends to be subjective, personal, private or introverted. Your many changes of residence reflect the unrest in the depths of your being and the instability in your life that will manifest until their sources are understood and integrated on an emotional level. One of the reasons you move(d) so much is that you're at odds with your social, ethnic, or economic background. There's a conflict between your need to be your own person and perceived obligations to your family. A real individual in your own home, you're not at all the domestic type unless there's strong moon or Cancer symbolism in the chart. The style, furnishings, and perhaps even the structure or location of your home is definitely unusual and unconventional, as is your approach to sentiment, nostalgia, and history. Since the fourth house rules the end of matters, you may develop an interest in astrology or metaphysics in later years. 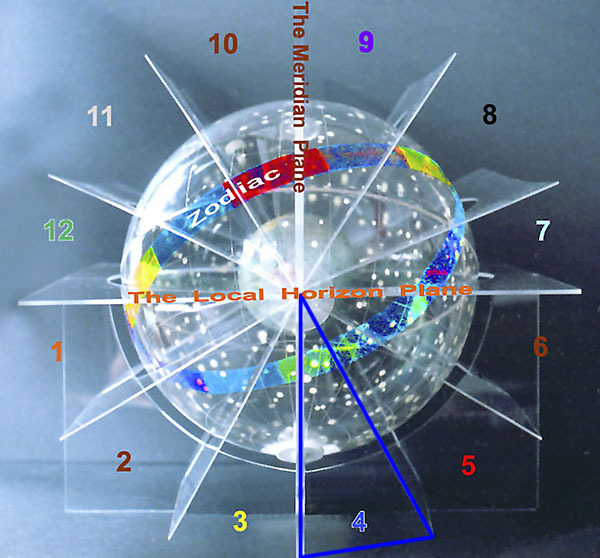 Astronomically speaking, the fourth house is that one-twelfth sector of the local sky counter-clockwise from the nadir (see above picture) occupied by planets in the two hours before they reach the lowest point in the local sky. 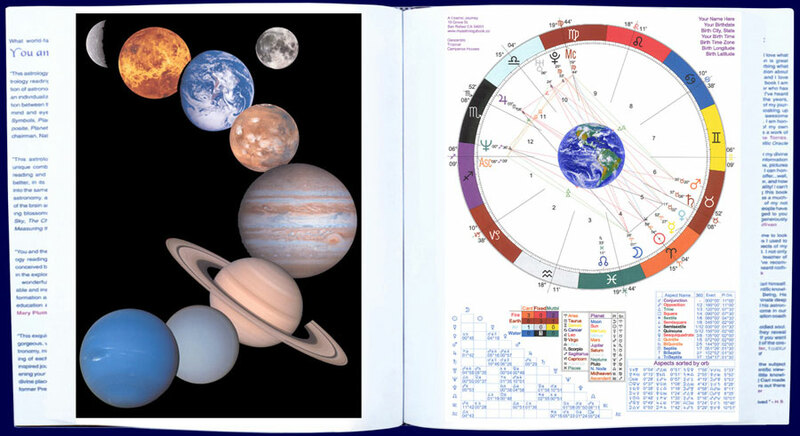 This Uranus-in-the-fourth-house page and much of this 600-page website are excerpted from the personalized Fine Art Book You and the Universe. © Carl Woebcke: A Cosmic Journey: Uranus in the fourth house, 1991-2017. All rights reserved.